Even wooden columns should be isolated from the slab. Walls and columns, which are on their own footings that are deeper than the slab subgrade, are not going to move the same way a slab does as it shrinks or expands from drying or temperature changes or as the subgrade compresses a little. Very long unjointed sections can expand enough from the hot sun to cause blowups, but this is rare. If slabs are connected to walls or columns or pipes, as they contract or settle there will be restraint, which usually cracks the slab—although it could also damage pipes (standpipes or floor drains). 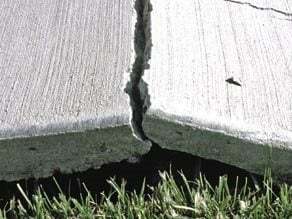 Expansion joints are virtually never needed with interior slabs, because the concrete doesn't expand that much—it never gets that hot. 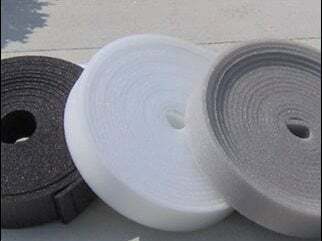 Blowups, from expansion of concrete due to hot weather and sun, are more commonly caused by contraction joints that are not sealed and that then fill up with noncompressible materials (rocks, dirt). They can also be due to very long unjointed sections. Isolation joint material should go all the way through the slab, starting at the subbase, but should not extend above the top. For a cleaner looking isolation joint, the top part of the preformed filler can be cut off and the space filled with elastomeric sealant. Some proprietary joints come with removable caps to form this sealant reservoir. Joint materials range from inexpensive asphalt-impregnated fiberboard to cork to closed cell neoprene. Cork can expand and contract with the joint, does not extrude, and seals out water. Scott Whitelam with APS Cork says that the required performance is what determines the choice of joint materials. How much motion is expected, exposure to salts or chemicals, and the value of the structure would all come into play—and of course the cost. At columns, contraction joints should approach from all four directions ending at the isolation joint, which should have a circular or a diamond shaped configuration around the column. For an I-beam type steel column, a pinwheel configuration can work. 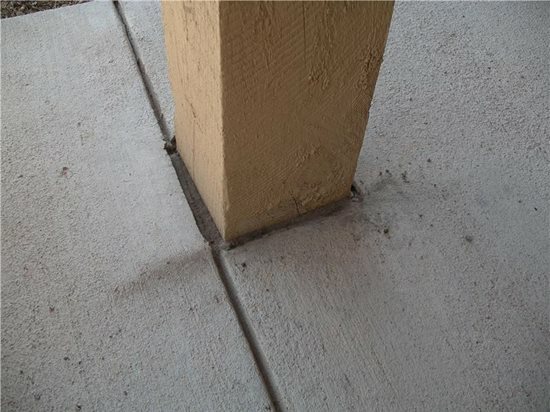 Always place the slab concrete first and do not install the isolation joint material and fill around the column until the column is carrying its full dead load.